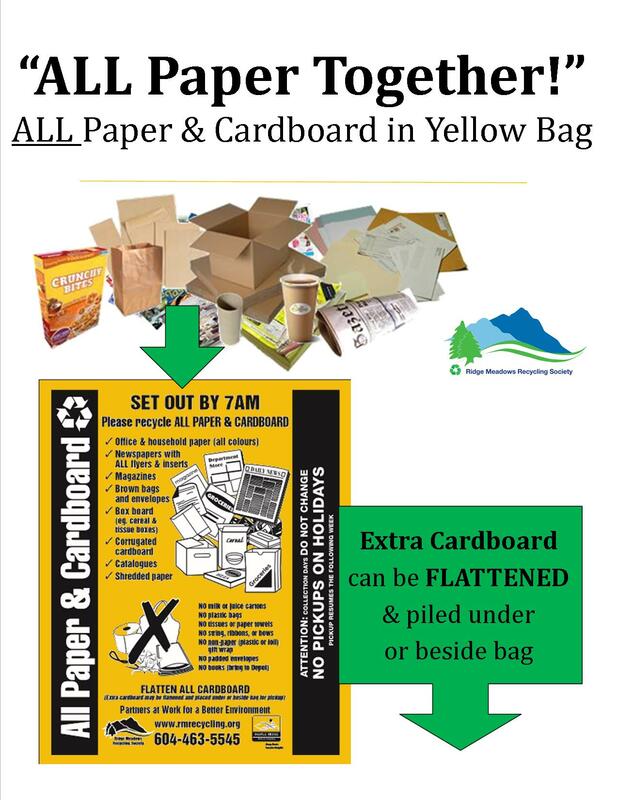 In Maple Ridge, ALL PAPER can be put in the Yellow Bag for curbside collection. 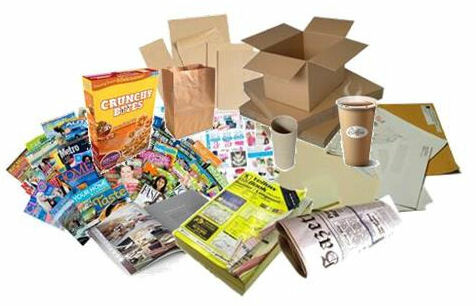 -Please flatten all cardboard before putting it in the recycling bag! If you have too much to fit in the bag, please flatten it and place it beside or underneath your recycling. Unflattened cardboard will not be picked up. 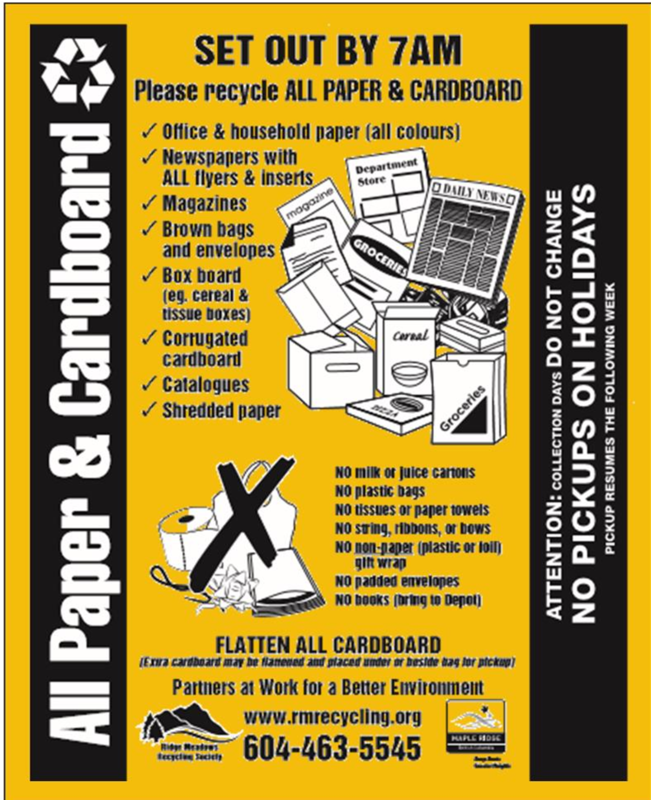 -Please do not include waxed cardboard as it cannot be recycled. -Please do not include paper towels or tissues – these can go into your composter. -all box board: cereal, cracker, tissue boxes, etc.